The BS has an article about the possibility of one one Queensland's coal seam gas LNG projects being cancelled - Arrow LNG project put on notice. I guess this could help limit gas price rises on the east coast for a time, with the excess supply needing to be soaked up somewhere. The owners of the Arrow coal-seam gas project in Queensland have ordered the project's team to tighten its costs or Arrow will not go ahead, according to The Australian. 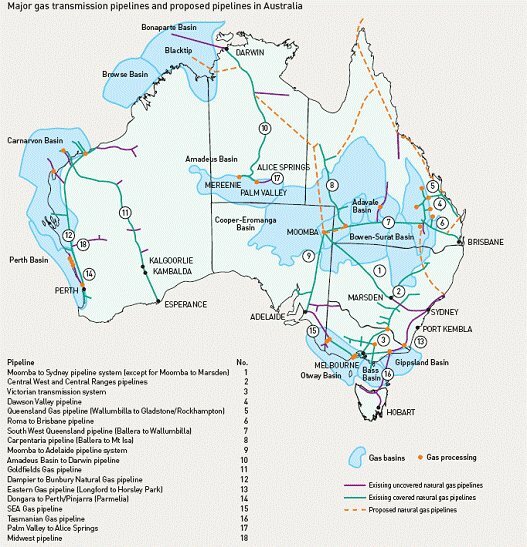 The ultimatum from Royal Dutch Shell and PetroChina to the project's team casts further uncertainty on the outlook for Australia's liquefied natural gas (LNG) outlook.